36-month lease with $3,216 due at signing. Monthly payment includes $595 acquisition fee. 10,000 miles per year. No security deposit with approved credit. Price is plus tax, tag, title, registration, pre-delivery service fee of $899.95, and Private Tag Agency Fee of $184, which charges represents costs and profits to the dealer for items such as inspecting, cleaning, and adjusting vehicles and preparing documents related to the sale. Not all will qualify. Termination fee will apply. See dealer for complete details. Vehicle art for illustration purposes only. Offer expires 04/30/19. 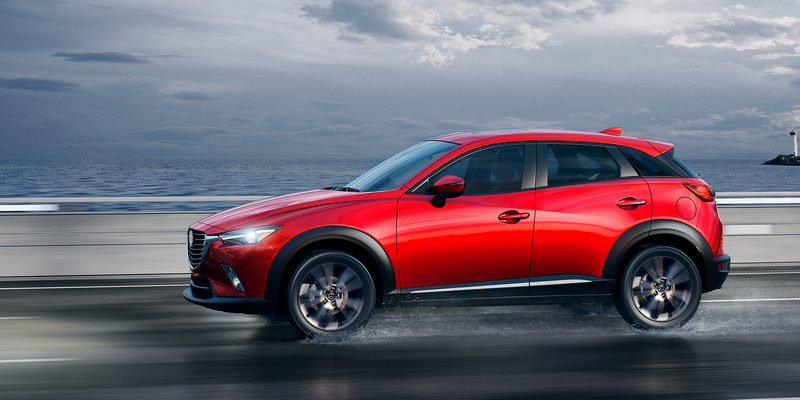 Gear up for your next journey with the new Mazda CX-3. 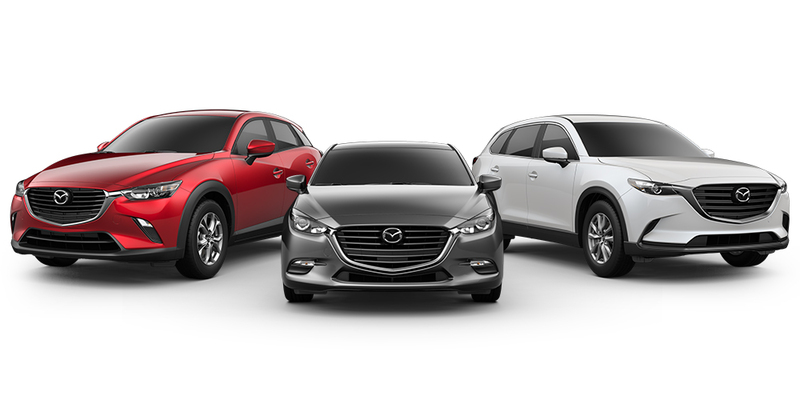 The Mazda CX-3 comes in 3 trims: Sport, Touring and Grand Touring. 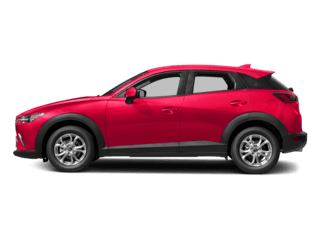 Armed with a lively standard engine that kicks out 146 horsepower, the Mazda CX-3 will get you to your destination promptly and safely. You’ll even spend less time at gas pumps with the Mazda CX-3’s EPA-estimated 34 MPG on the highway. Loaded with unique style choices in the interior, the Mazda CX-3 offers a comfortable and attractive cabin. The futuristic visual cues make driving a true pleasure. In addition to looking sleek on the exterior, the driving dynamics of the Mazda CX-3 enhance driving significantly, especially with the available i-ACTIV AWD® all-wheel drive system. If you’re a driver in Cape Coral, Bonita Springs or Naples, FL, visit Naples Mazda today to test-drive the new Mazda Mazda CX-3. 36-month lease with $3,802 due at signing. Monthly payment includes $595 acquisition fee. 10,000 miles per year. No security deposit with approved credit. Price is plus tax, tag, title, registration, pre-delivery service fee of $899.95, and Private Tag Agency Fee of $184, which charges represents costs and profits to the dealer for items such as inspecting, cleaning, and adjusting vehicles and preparing documents related to the sale. Not all will qualify. Termination fee will apply. See dealer for complete details. Vehicle art for illustration purposes only. Offer expires 04/30/19. 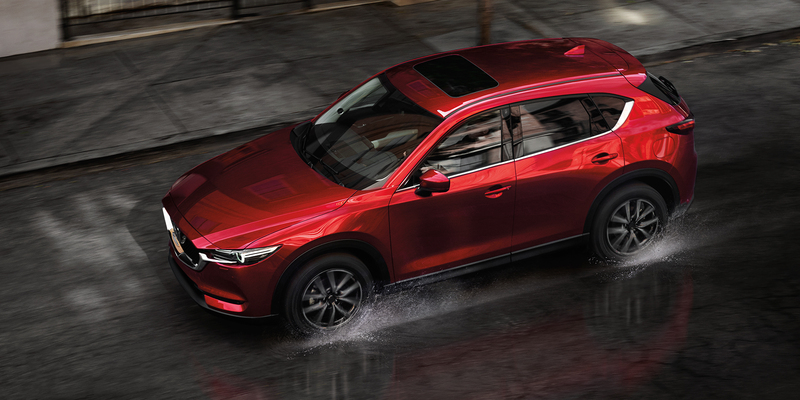 Mid-size sedan lovers are in the right place when looking at the new Mazda CX-5. 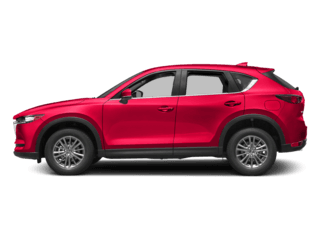 With 3 available trims, the Sport, Touring and Grand Touring trims, the Mazda CX-5 gives you plenty of options and ways to tailor your ride to your driving style. Available i-ACTIV AWD® offers an available all- wheel drive system. You won’t have to sacrifice efficiency either; the standard Mazda CX-5 earns an EPA-estimated 31 MPG on the highway. 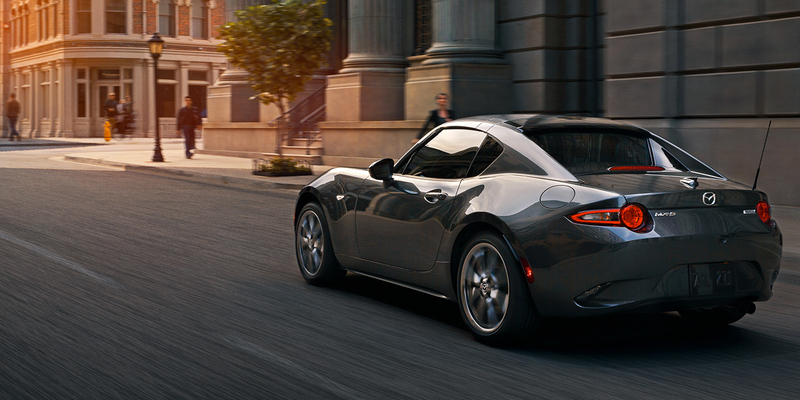 The MAZDA CONNECT™ infotainment is intuitive and easy to navigate with its unique control knob on the central console. Available features include an Active Driving Display that’s projected onto the windshield for easy access to important information. 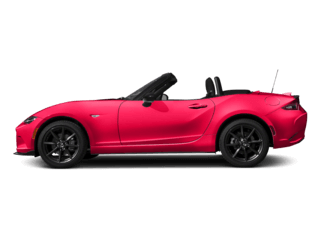 Naples, Cape Coral and Bonita Springs, FL drivers can test-drive the Mazda CX-5 at Naples Mazda today. L36-month lease with $3,288 due at signing. Monthly payment includes $595 acquisition fee. 10,000 miles per year. No security deposit with approved credit. Price is plus tax, tag, title, registration, pre-delivery service fee of $899.95, and Private Tag Agency Fee of $184, which charges represents costs and profits to the dealer for items such as inspecting, cleaning, and adjusting vehicles and preparing documents related to the sale. Not all will qualify. Termination fee will apply. See dealer for complete details. Vehicle art for illustration purposes only. Offer expires 04/30/19. 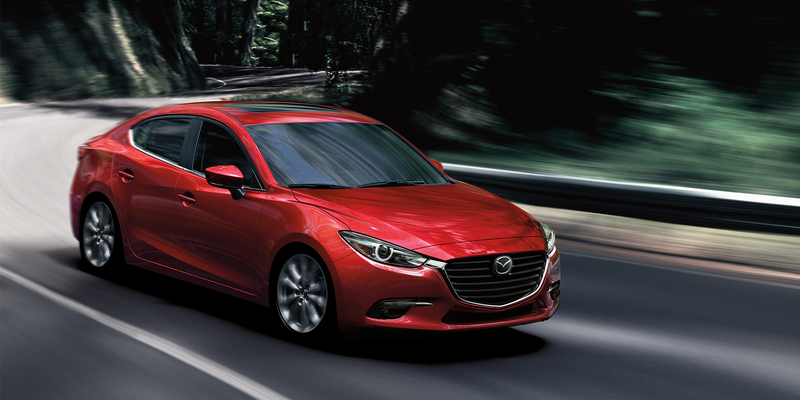 Adventure is just one test drive away in the new Mazda3 sedan. You can zoom zoom your way through any situation with the standard 155-horsepower 2.0L SKYACTIV®-G 4-cylinder engine. 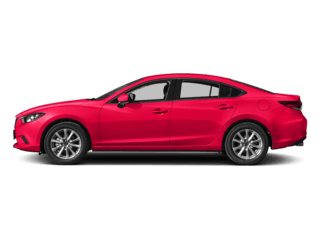 Even with responsive acceleration and dynamic driving, the Mazda3 doesn’t sacrifice an ounce of fuel efficiency. The Mazda3 earns an EPA-estimated 37 MPG on the highway. 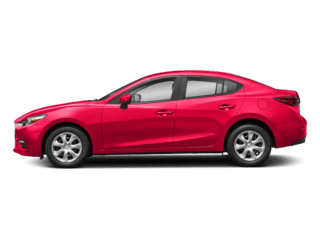 In addition to sleek and crisp exterior designs, you can customize your Mazda3 with exterior paint options such as Titanium Flash Mica and Eternal Blue Mica. 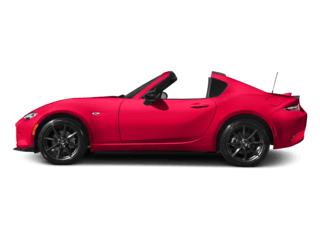 Choose which trim you prefer between the Sport, Touring and Grand Touring configurations. The unique central control knob in the interior allows you to navigate the intuitive infotainment system. 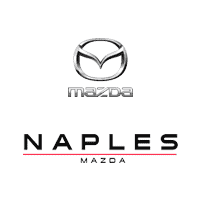 If you drive near Naples, Bonita Springs or Cape Coral, FL, visit Naples Mazda to test-drive the new Mazda3 today. 36-month lease with $4,482 due at signing. Monthly payment includes $595 acquisition fee. 10,000 miles per year. No security deposit with approved credit. Price is plus tax, tag, title, registration, pre-delivery service fee of $899.95, and Private Tag Agency Fee of $184, which charges represents costs and profits to the dealer for items such as inspecting, cleaning, and adjusting vehicles and preparing documents related to the sale. Not all will qualify. Termination fee will apply. See dealer for complete details. Vehicle art for illustration purposes only. Offer expires 04/30/19. 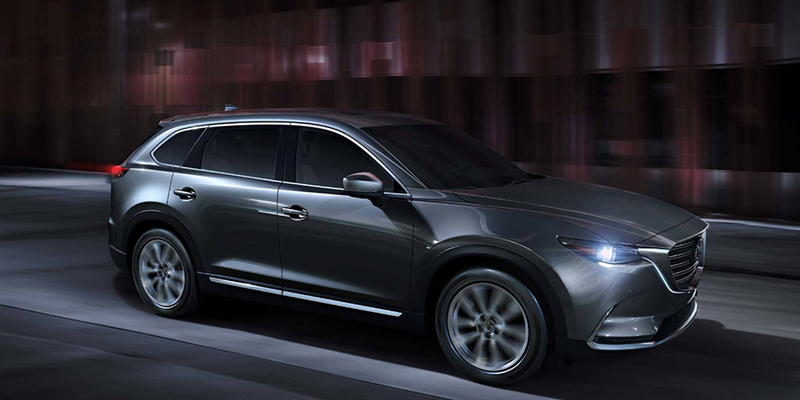 Step into affordable luxury when you enter the new Mazda CX-9. You get to choose between 4 unique trims: Sport, Touring, Grand Touring and the high-end Signature trim that features Nappa leather seating and a standard i-ACTIV AWD® all-wheel drive system. The standard engine on the Mazda CX-9 earns an EPA-estimated 28 MPG behind its 250 horsepower 2.5T SKYACTIV®-G powertrain. With its sleek exterior design and luxury-like interior, the Mazda CX-9 makes driving more than just a pleasure; it’s an experience. You can seat 7 passengers comfortably in the Mazda CX-9, and that same space opens up to a wealth of cargo space. 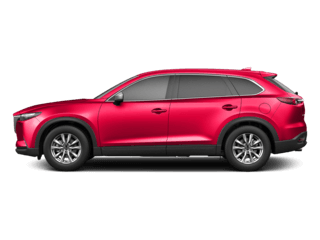 If you drive around Bonita Springs, Cape Coral or Naples, FL, visit us at Naples Mazda to test-drive the new Mazda CX-9 today. 1.9% APR only for well qualified buyers when financed through participating lender; Not all buyers will qualify. Amount of down payment and other factors may affect qualification. 72 months at $14.71 per month per $1,000 financed with $0 down at participating dealer. Price is plus tax, tag, title, registration, pre-delivery service fee of $899.95, and Private Tag Agency Fee of $184, which charges represents costs and profits to the dealer for items such as inspecting, cleaning, and adjusting vehicles and preparing documents related to the sale. Termination fee may apply. See dealer for complete details. Vehicle art for illustration purposes only. Offer expires 04/30/19.